The one-light large wall lantern in the Essential Collection is highlighted by a clean simple design. White linen glass is completed with a power coated aluminum frame. Durable cast aluminum lighting fixture features an opal glass shade that installs with no exposed hardware. Vapor-proof gasket and porcelain socket for long-life performance in harsh environments. Durable powder-coated finish for low maintenance service. Modern and architecturally inspired, crisp geometric lines characterize Fairview Collection. An etched glass diffuser provides glare-control and reduces the need for cleaning. By utilizing an energy efficient compact fluorescent light source, this light reduces both energy and maintenance costs. 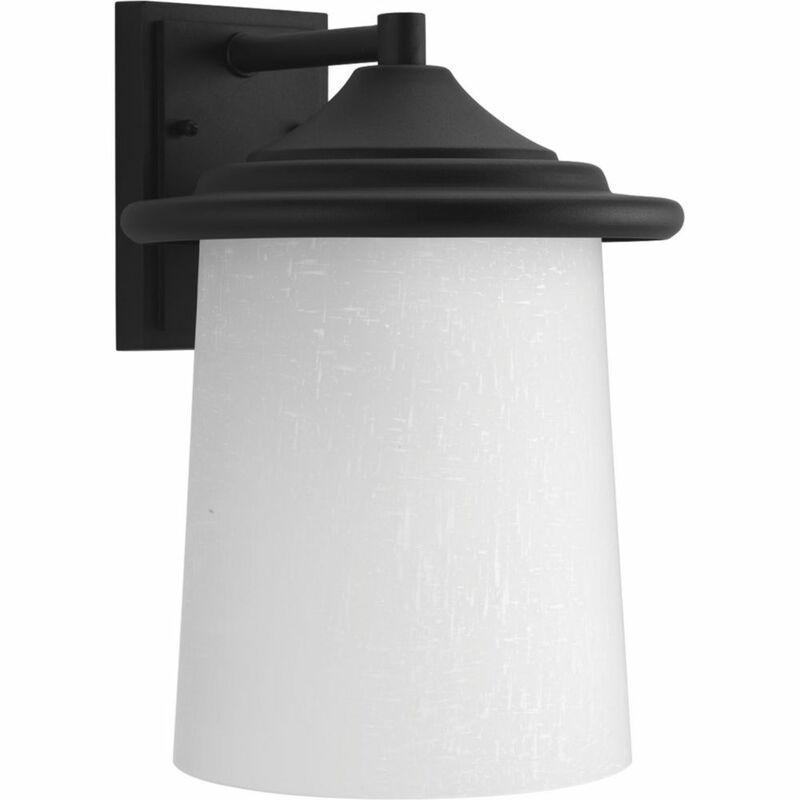 Essential Collection 1-light Black Wall Lantern The one-light large wall lantern in the Essential Collection is highlighted by a clean simple design. White linen glass is completed with a power coated aluminum frame.